Kazuhiro Soda’s documentary Oyster Factory was shown at Montreal’s Festival du nouveau cinéma in 2015. If you missed it then you have another chance to see it now, at the documentary festival RIDM. Kazuhiro Soda who is here for a retrospective of his films will introduce Oyster Factory and answer questions abut it after the screening. I did not see Oyster Factory at FNC, so I will quote some reviews below. I DID see Soda’s Campaign 1 and Campaign 2 at RIDM, so I can attest to his filmmaking and editing skills and his ability to get along with most people. (There WERE a few cranky people in the Campaign films.) The Campaign films were long but not boring; I did see anyone live the cinema. So don’t be frightened by Oyster Factory’s 145 minute running time. “Oyster Factory. . .bears testament to the filmmaker’s skills in wringing out big issues from the “little people.” Edited out of 90 hours of footage shot over three weeks in one seaside community in southwestern Japan, the film slowly and successfully teases out the country’s clammed-up anxiety about a new, globalized economy through the struggle of workers in mom-and-pop shellfish process businesses. “Engaging as always with his settings and subjects, Soda demonstrates an instinct in capturing fears and doubts when they come to the fore, while also carefully putting these emotional implosions in context. 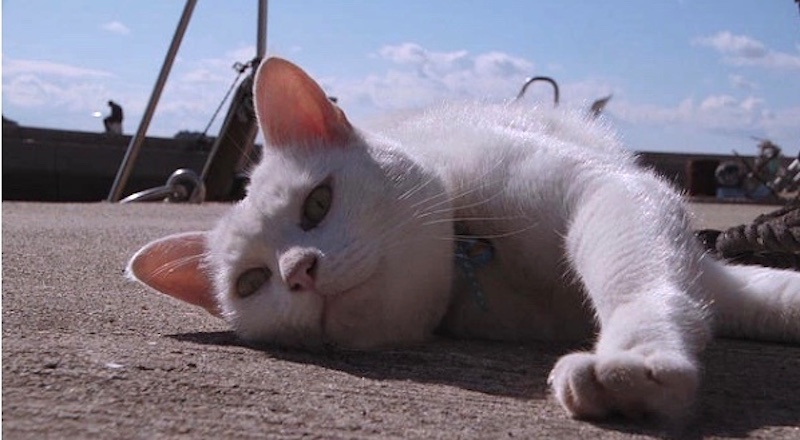 . .
Director Kazuhiro Soda likes cats and they appear in many of his films. 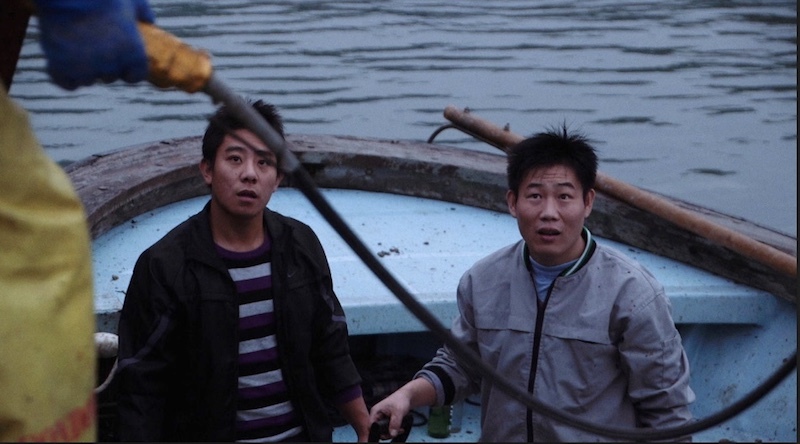 On PardoLive, a section of the Locarno Film Festival’s web site, Aurélie Godet wrote: “Who would have thought that fishing and shucking oysters could be so engaging to a film audience? It is, though. And for many reasons beyond the mollusk itself. Sôda’s new observational documentary depicts the world of small oyster factories in Japan’s southern province of Okayama. . .
“Viewers familiar with Sôda’s previous documentaries (Mental, the Campaign and Theatre diptychs) will recognize the filmmaker’s talent for recording people’s unconscious behaviors and welcoming unpredictability. An open attitude rewarded again by a surge of strange or comical events. Wednesday, Nov. 14, 2018 4:30 p.m.
Visit the RIDM web site for more information about the documentary festival.